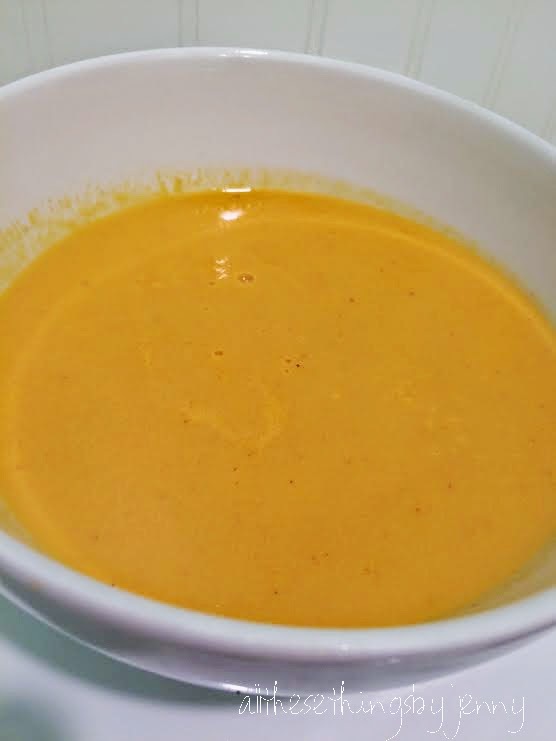 This is one of my favorite soups to make. It's so yummy and not too hard. I believe originally this recipe came from foodnetwork.com but I tweaked it just a tiny bit here and there to make it the way I like it. 4 cloves of garlic peeled, more if you like. Preheat oven to 450 degrees. 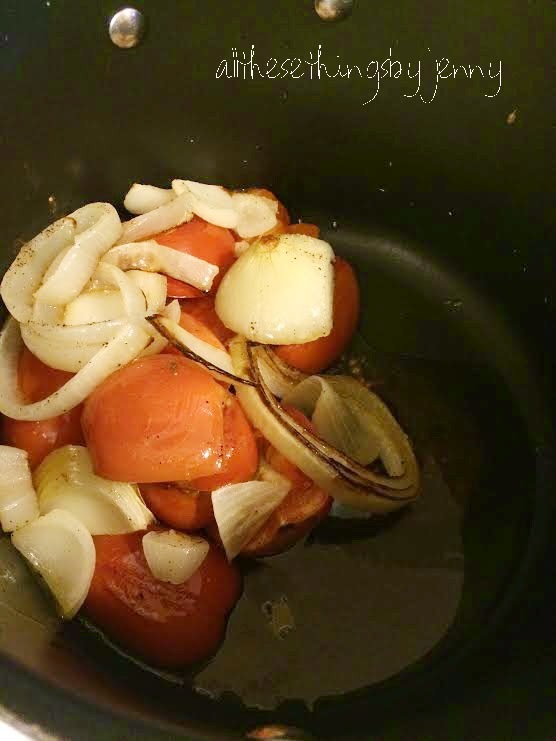 Cut tomatoes and onion in halves, place on a cookie sheet. Drizzle olive oil and salt and pepper over tomatoes, onion, and garlic. Roast for 20-30 minutes or until caramelized. Transfer to a large pot. 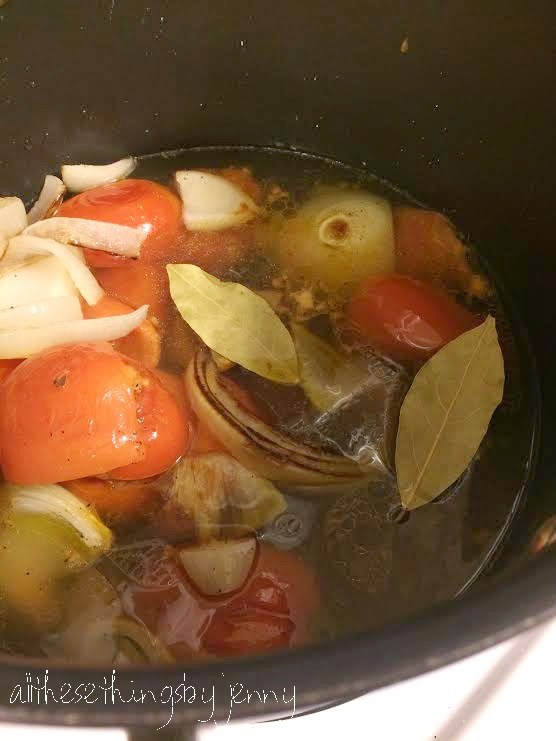 Add 3/4 of the chicken stock, bay leaves, and butter. Bring to a boil and let it simmer for 15-20 minutes. Return the heat to low and add cream. Adjust the consistency with the remaining stock. Season to taste with salt and pepper. 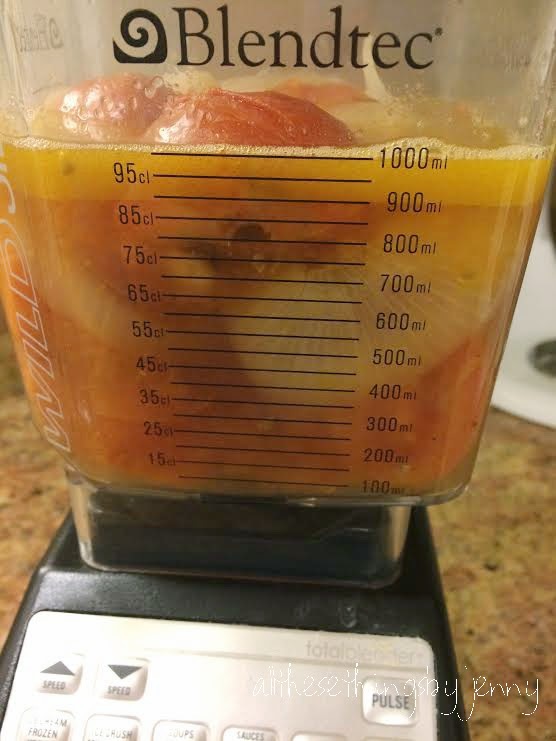 Note: If you're using a blendtec or any other kind of blender, I suggest you break it up and blend it in groups. Otherwise you'll have a huge, hot mess (seriously hot though) to clean up and you won't have dinner.